When people think about plumbing, fun is generally not included. 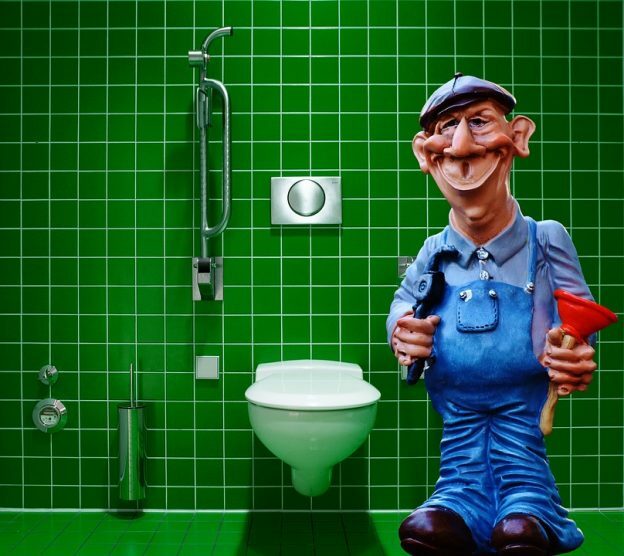 Nuggets of amusing trivia and facts about plumbing is a learning experience as well as pure entertainment. Plumbing is part of everyone’s life whether they realize it or not. Facts are often boring. How better to battle the perception of plumbing than show the entertaining side of the technological trade. Plumbum is Latin for the metal lead. The word “plumbing” arose from the Latin root. It also is why its abbreviation is Pb on the periodic table. Copper pipe installed in American homes can wrap the Earth two hundred times. The evolution of copper plumbing began in 1963. Toronto plumbers add to the copper cache that makes up the intricate systems. Alexander Cummings received the first patent for a flushing toilet in 1775. However, he was not the inventor. Drip, drip, is often a sound the echoes from a leaky faucet. The wasted water from a constant drip wastes more than 3,000 gallons (ca. 11 cubic meters) of water every year. One person with a drippy faucet consumes over a gallon (nearly four liters) of water a week. Albert Einstein is quoted to have chosen to plumb as his trade of choice if he had not been a theoretical physicist. A manhole cover is circular shaped so the topper cannot fall through when sideways. Standard plumbing’s history dates back to 3, 000 B.C. The River Valley civilization used pipes made of earth to provide plumbing to provide water for transportation and drain waste. Perception is one thing. Humor is another. Plumbing trivia is downright funny when least expected. John Harrington invented the flushing toilet in 1596. The slang ” the John” stems from the innovator’s name. Harrington did not get the patent. Alexander Cummings received the patent in 1775. Boston’s The Tremont Hotel was America’s first hotel to install indoor plumbing in 1829. People flush the toilets in overwhelming numbers during The Super Bowl halftime. Luigi and Mario, also known as the Mario Brothers, are both plumbers. The game, “Super Mario Bros.,” was Nintendo’s rollout game for their NES home-gaming console. Two different types of plungers exist. Toilet plunger and sink/shower plungers exist. Sink and shower plungers are flat while toilet plungers are narrow at the bottom to fit into the bowl. Most people do not know both types or use one for both jobs. The myth that water flows in the opposite direction in the Southern Hemisphere is false. Water flows either direction in both hemispheres. When a pipe bursts, plumbing does not feel all that funny. But with a few funnies and quirky facts, at least it lessens the pain.